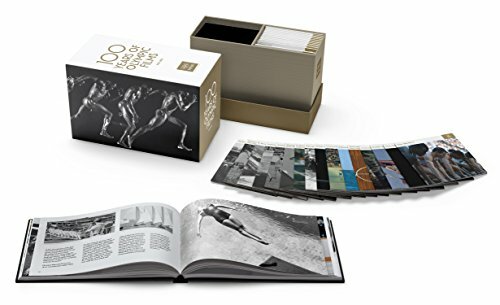 100 YEARS OF OLYMPICS - An epic collection of the best moments of Olympic history from the past 100 years. MOMENTS OF GLORY - Features footage from Harold Abrahams in Paris 1924, Jesse Owens in Berlin 1936, Joan Benoit in Los Angeles 1984, and many more. EXTRAS - Comes with a 216-page hardcover book; newly restored film presented for the first time; 4K restorations of Olympia, Tokyo Olympiad; and new scores for the silent films. HUGE BOX SET - Choose from 43-disc DVD set or a 32-disc Blu-ray set. Runs 104 hours. Region 1 coded (US & CANADA). A GREAT GIFT - Surprise the Olympics lover in your life with this extensive collection.